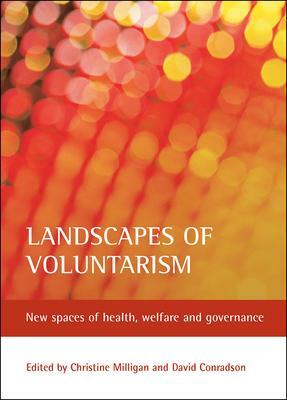 Landscapes of Voluntarism collects new and innovative work by researchers from Australia, Canada, New Zealand, and the United Kingdomâ€”sites where voluntarism has become increasingly important in the development and delivery of social welfare policy. With a preface by one of the foremost geographers in the field, this book features empirical and theoretical work from both emerging and well-established scholars. These contributors explore the interactions between voluntarism and a range of issues including governance, health, community action, faith, ethnicity, counselling, and professionalization.